AVALON — While San Diego’s July Big Bay Boom fireworks show blowout grabbed headlines and even a new nickname: “Big Bay Bust,” Avalon Harbor’s smaller-scale fireworks display this past Independence Day had a hiccup of its own. While the Avalon show lasted longer than 15 seconds — unlike San Diego’s — many of the colorful explosions occurred out of sight for spectators on shore, as a new electronic system set off the blasts much lower in the air than usual. The problem arose due to new technology, as the licensed fireworks group Pyro Spectaculars informed the Chamber of Commerce following last year’s show that the ignition system would have to be changed to meet new safety standards. 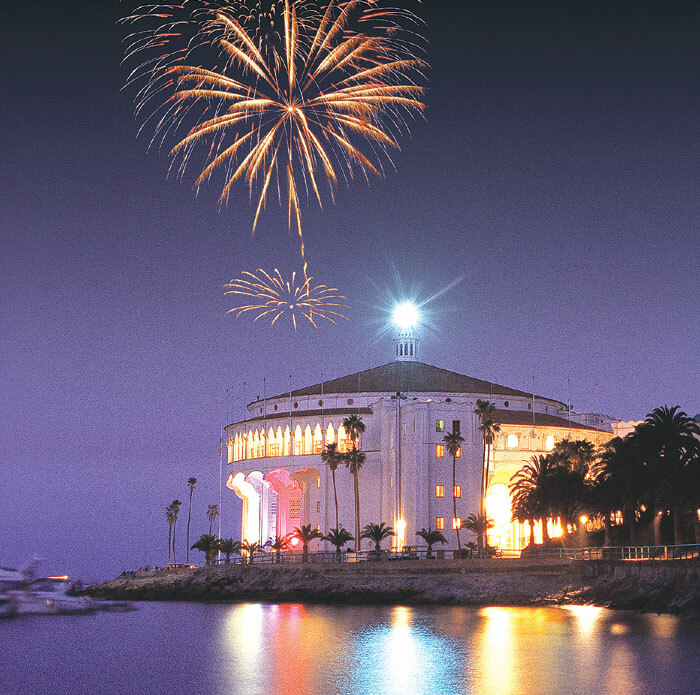 Up until this year, the fireworks show, which is launched from Avalon’s Cabrillo Mole, had been hand-lighted. But during the 2011 Independence Day show, there was a premature explosion in one of the mortars that organizers said could have caused serious injury to those working the show. “In order to reduce the risk of injury, our vendor forced us to use electronic ignition for this year’s show — and future shows,” Griffin said. The change meant the show’s fireworks would be electronically ignited, and that the show’s individual mortars would be replaced by “groupings” of fireworks that were said to be safer, but also resulted in lower-level explosions. While the technicians had warned of the lower explosions, Griffin said from his vantage point, nearly all of the fireworks were blocked by a tree, and he estimated that around one-third of the community’s views of the show were hindered due to the lower explosions. While the lower blasts did not result in an increase in danger for viewers, the $20,000 spent annually on the Fourth of July fireworks is reason enough for concern for show organizers moving forward. Griffin is already in talks with Pyro Spectaculars — which has put on the show for the past 25 years — to see what can be done to raise the blast level. “Every time you change technology, there are unintended consequences,” Griffin said. “We learned a lot from this year’s show — and plans are already in the works for improving the show next year.